SRPNEF is currently conducting an Environmental Education Pathway (EEP) pilot project, now beginning its 4th year, in Murrieta Valley Unified School District, one of the ten school districts served by SRPNEF. EEP involves progressively more exciting and advanced nature activities and studies beginning with the Third Grade Outdoor Education Field Trip / Third Grade Outreach programs and continuing through 12th grade. 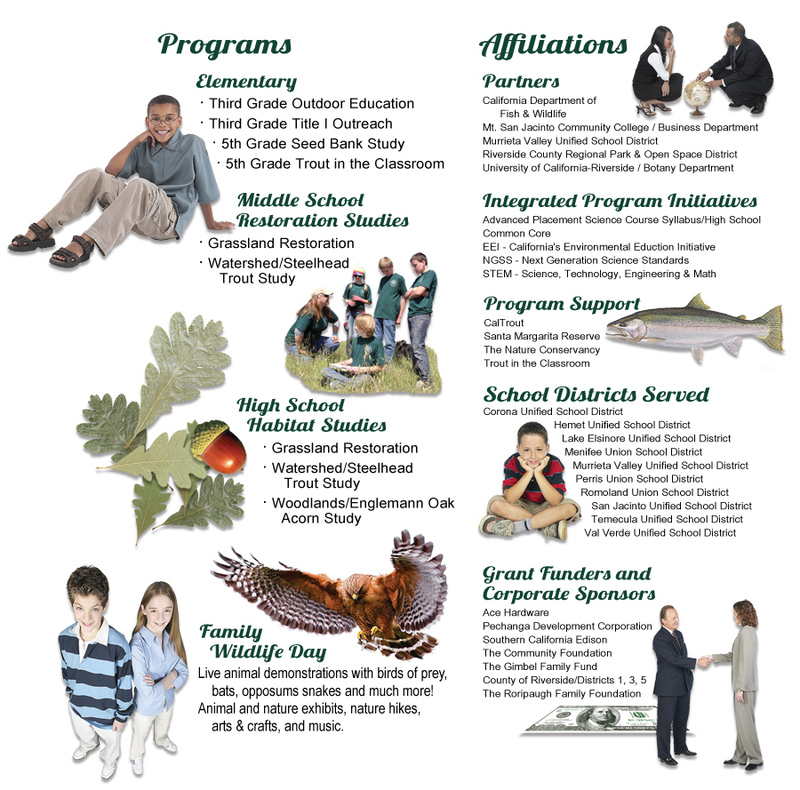 Using two of the Santa Rosa Plateau Ecological Reserve’s six ecosystems, Grasslands and Watershed as the outdoor lab, two tracks of geographically located feeder schools (elementary feeding into middle school and middle school feeding into high schools) participate in the program. This allows for tracking of students who potentially could participate in the EEP beginning in third grade through the 12th grade component. The pathway is more than the location of the feeder schools. Its five components are designed, as mentioned above, to provide progressively more advanced and impactful activities and learning experiences in a setting teeming with natural science.